Cesc Fabregas is holding out hope that Eden Hazard will stay at Chelsea beyond this season, despite admitting that the Belgian is fond of Real Madrid. 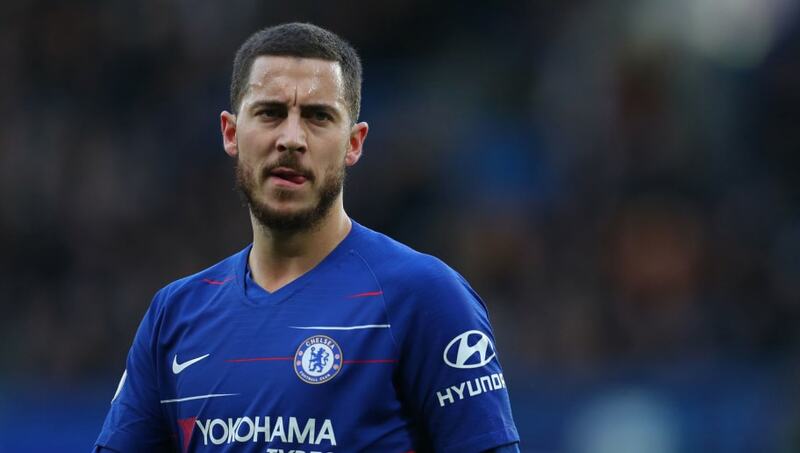 Hazard has been strongly linked with a move to Madrid since last summer and he will enter the final year of his Chelsea contract at the end of the season, meaning the Blues may be forced to sell their star man to avoid losing him on the cheap. ​Hazard revealed earlier this week that he now knows what the future holds, telling RMC: "I know what I am going to do. I have made a decision." He has not given any more information than that, leaving ​Chelsea fans to pray that he will stay put, and ​Fabregas also hopes that his former teammate remains at Stamford Bridge. "Let's see what he decides to do. He has a year and a half left and he is happy at Chelsea and so is his family," he told Radio Marca (via ​Goal). "But in the end they are very personal decisions. He likes Madrid and he has always said it. Hopefully he will renew with Chelsea, but if he does not he will finish in Madrid." Speaking to ​El Larguero, Fabregas added: "If Hazard has said that he already made his decision, then I think it's because he'll renew his contract with Chelsea."  Cesc Fábregas: "If Hazard has said that he has already made a decision it is because he has decided to renew with Chelsea"
Hazard admitted back in October that he was still indecisive about his future, with the choice between signing a new contract at Chelsea or making his 'dream' move to Real Madrid. Having now come to a decision, he can focus on helping Chelsea to finish in the top four, starting with ​a trip to Manchester City on Sunday.